My House is For Sale, Should I Decorate For Christmas? A For Sale Sign shouldn’t cancel Christmas! When a home is occupied and Buyers view the home, they notice when there are no Christmas decorations. Since they expect it, you absolutely should decorate for Christmas. This is of course if you have already done all of the things that we have been discussing over the last year and your home is looking beautiful and ready for a great sale. 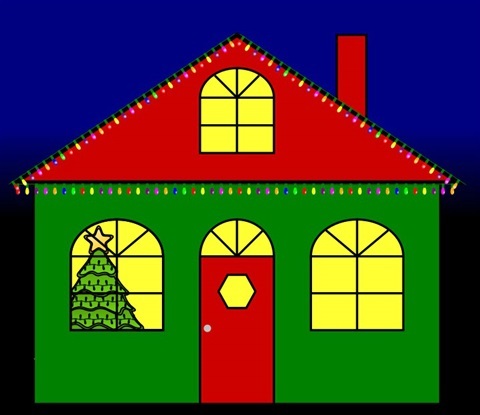 In this case, Christmas decorations will only add to the warmth and family atmosphere that your home is currently displaying. Now, I am NOT talking about a “National Lampoon’s Family Christmas”! Don’t overdo it! Think cozy, warm, and family. Tasteful and simple. Decorations should NEVER block pathways! If your decorations overwhelm your home you are into Griswold Land. Decorations should not be distracting. Remember, buyers can’t see past distractions! SIZE DOES MATTER – if you normally buy a 10 foot tree and cram it into the corner of the living room, consider 6-ft or a table top version. Oversize gifts that don’t fit under the tree should be in a closet. Color is another thing to consider. Don’t clash with your current color palette! Red garland won’t go with your baby blue living room! Consider white decorations instead. Decorations shouldn’t overwhelm the important selling features of the home, i.e., grand fireplaces, custom stair railing, or beautiful stain-glass windows! Instead they should accentuate them– a single mistletoe dangling from an arched entryway. It’s your Agent’s job to tell you if your decorations are tasteful or tacky! It’s your job to listen! Gina M. Sohmer, is a veteran, a 2nd-Generation REALTOR®, a Graduate of the REALTOR® Institute, a Seller’s Representative Specialist, and a member of the Phyllis Browning Company. She can be reached at www.ginasohmerrealestate.com.